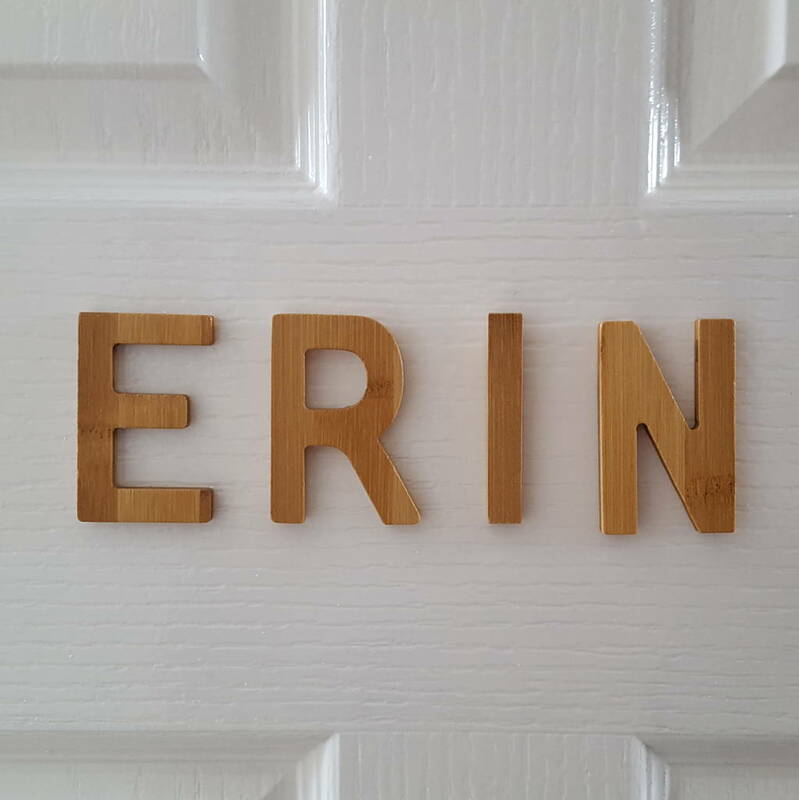 These bamboo wooden letters makes a fantastic and modern personalised gift. Totally trendy letters made of bamboo! 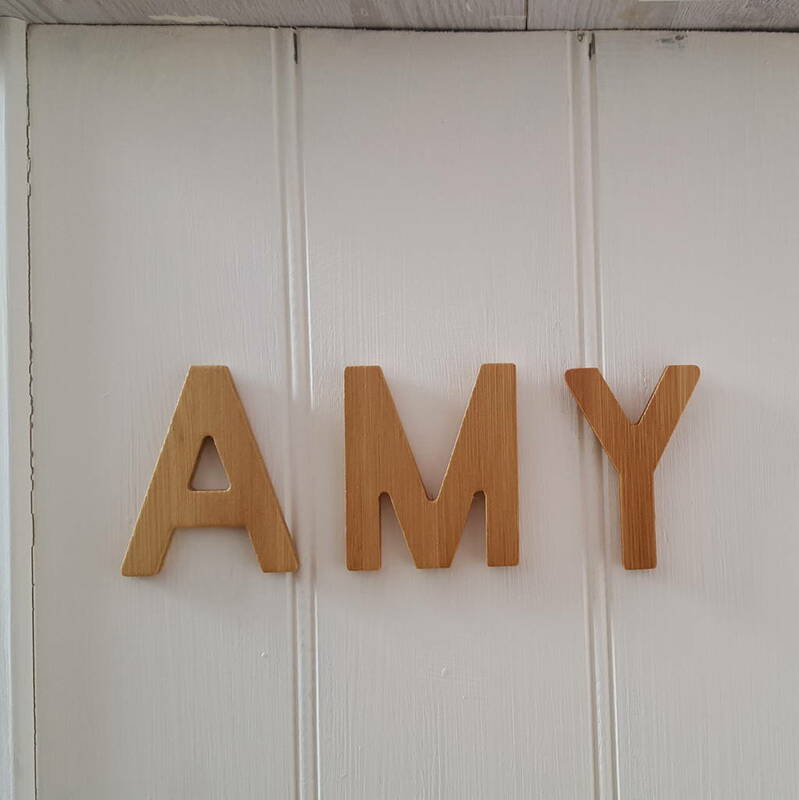 These appealing ABC letters made out of sustainable bamboo are particularly suited for young beginner readers due to their clear language of form. 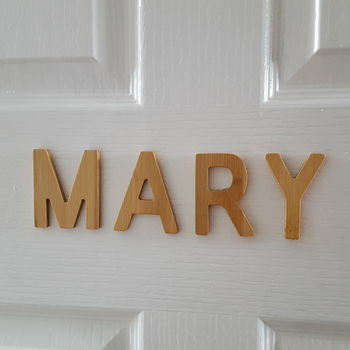 Their rounded edges are pleasant to the touch and are also great as decoration for door labels for the children's room. 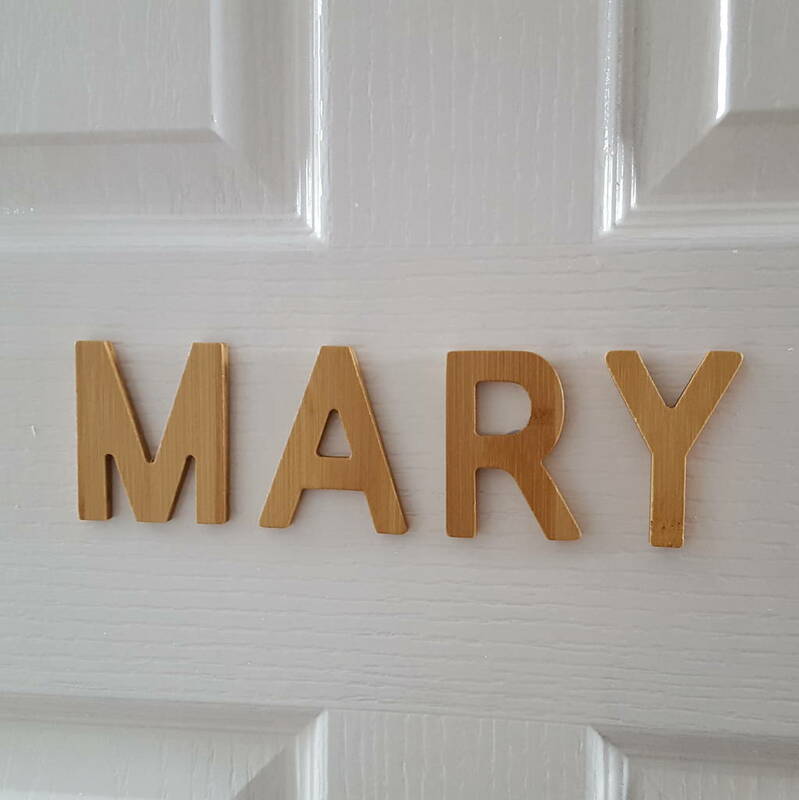 As single letters, words or sentences: typographical decor is definitely trendy at the moment and the neutral colours will never go out of fashion. This gift is ideal for a new born, christening gift for a child’s room decoration. 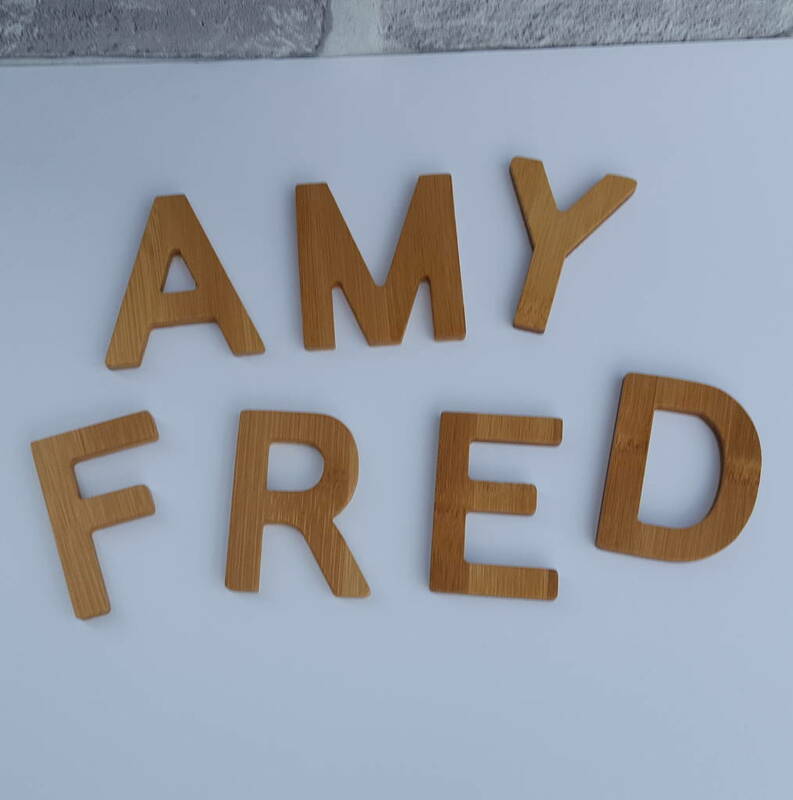 We cannot guarantee every single letter will be identical, but that is part of the charm of buying a wooden gift where the letters have been cut by hand from a sustainable wood source. Select the amount of letters required and enter the name or letters in the box. Please ensure that you match the number of letters to the number you put into the name field to avoid any delays with your order. Totally trendy letters made of bamboo! These appealing ABC letters made out of sustainable bamboo are particularly suited for young beginner readers due to their clear language of form. 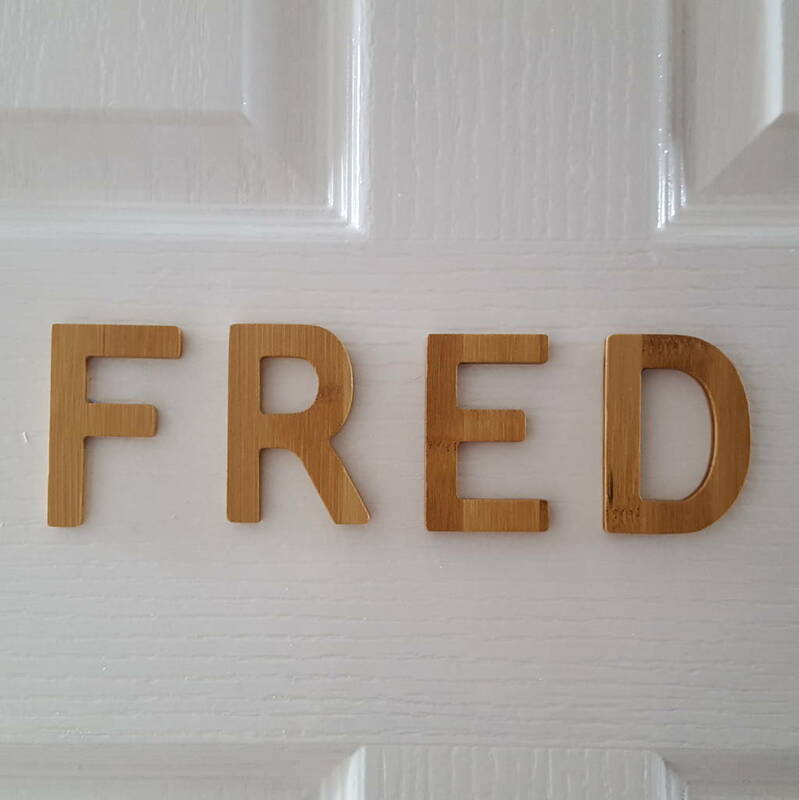 Their rounded edges are pleasant to the touch and are also great as decoration for door labels for the children's room. 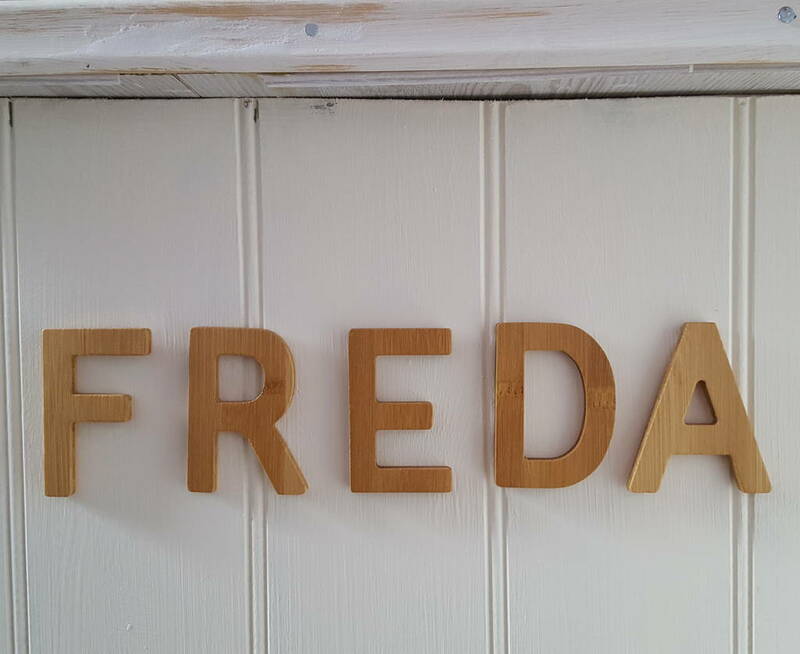 As single letters, words or sentences: typographical decor is definitely trendy at the moment! The letters are made of sustainable bamboo.